With a wealth of experience and expertise, along with being available for clients to contact whenever they need advice or reassurance, Farleys are ideally situated to assist growing businesses. 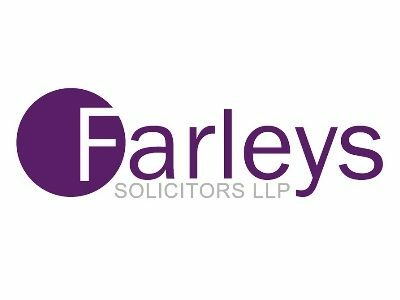 When it comes to growing businesses, the team at Farleys fully understand the need to engage with the right legal advisors. Expert advice, flexibility and value for money are all important, but having someone you can trust available at the end of the phone whenever you need them is invaluable. In that respect, we like to think of ourselves as a little bit different from your average law firm. Our clients know they can call upon us for guidance and advice at any point and our lawyers will be happy to respond, without every minute going ‘on the clock’! We encourage our clients to treat us as part of their extended team, developing strong relationships so that they feel comfortable contacting us a wide range of matters. We are able to offer a “second opinion” and clients are not charged for this additional service. Whilst aiming for growth is key to your future success, always be mindful of the fact that it is imperative that you manage that growth – steady controlled growth is vital for future stability. I have seen too many businesses chase massive growth in a short time scale only to find that they run out of money or their administrative support isn’t sufficiently well developed to cope. This invariably leads to business failure as a result of cash flow problems or loss of key customers because of a failure to deliver on promises made due to being over stretched. Steady growth within a manageable framework should always be the aim. Lancashire is a great place to do business due to the nature of its people – down to earth, friendly and with passion for what they do. The breadth and diversity of industries here in Lancashire makes doing business even more enjoyable. We’re passionate about helping our fellow Lancashire-based businesses to grow and the services available via Boost & Co will assist those who want to take their business to the next level.